Hello everyone and welcome to the start of the Long Time Gone Sew-along!! I'm so very excited to finally start on this epic adventure with you all! 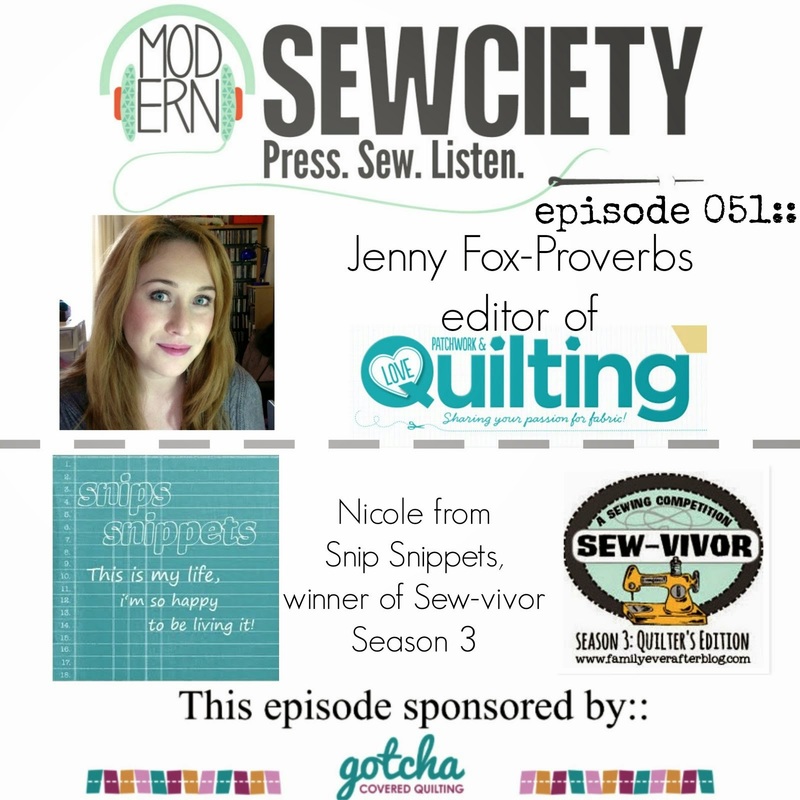 I truly hope you all enjoy this wild ride and come out the end with a quilt that you love! Without further ado shall I introduce you to this weeks block? Say hello to the Bow Tie Block! 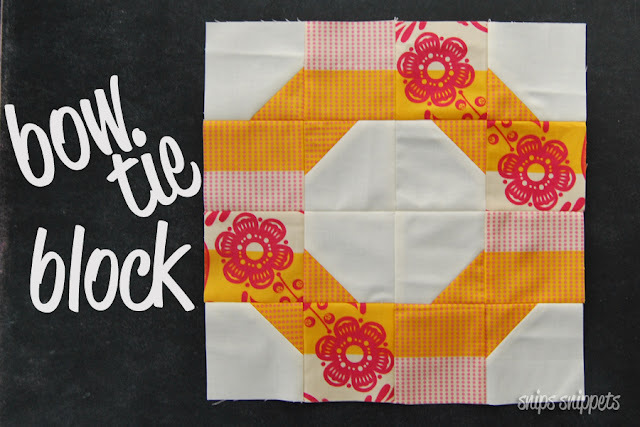 This super cute block is such a nice, easy start for us! But don't let it's simplicity fool you, there is so much potential for fun to be had! 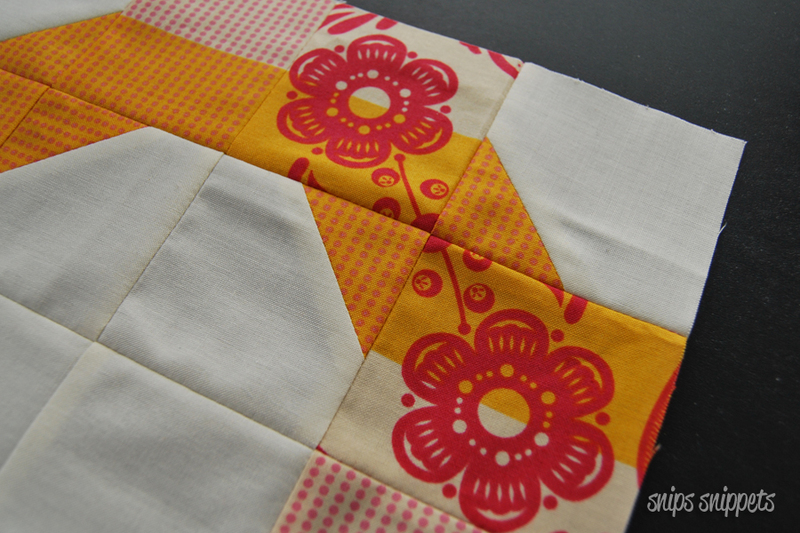 Angie and I will be alternating tutorials for the duration of the sew-along and today's block just happens to be hers. So pop on over and see what she has in store for you by clicking here! On the days I'm not providing you with tutorials, I'm hoping to be able to share in some tips and tricks I used for the current block or maybe just some pretty pictures! 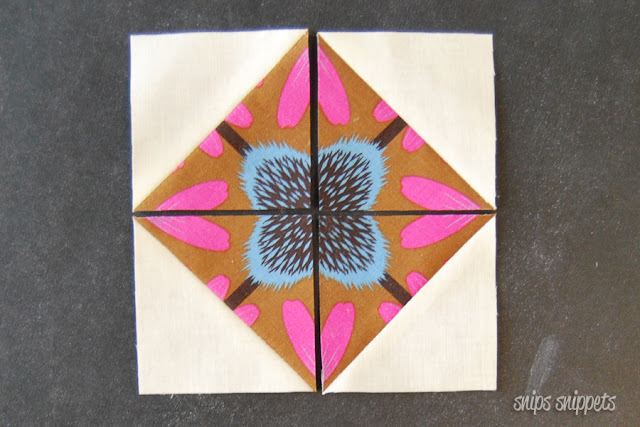 I'll be fussy cutting for a great portion of my blocks as well as placing my pieces in kaleidoscope"esk" positions, so I'll have some methods that I like to use that I'll share with you all! How about we start with the tools I like to use! First, I don't always spray my fabrics but when I do I use Flatter by Soak in place of starch. I just like it better than starch and it's made in Canada ;) I generally only spray when there's a seam that I need to beat into submission gently press flat, or if there's a particularly obnoxious crease that doesn't want to go away. All my piecing is done with 50wt Aurifil thread, usually in 2600 Dove Grey, but with my background fabric being cream for this project I'm using 2000 Light Sand and it's the perfect match! I also am not a big pinner, in fact if I can get away with not pinning I will skip it every chance I get! That being said, with the type of kaleidoscope piecing I'm doing it doesn't hurt to be a little more accurate! So I will pin a bit or in place of pins I do like to use Roxanne Glue Baste It. I also use it for gluing down the back side of my binding before hand sewing it down, makes it so much faster to hand sew my bindings! I always have my 6.5" ruler handy, some template plastic and washi tape, they all help the fussy cut process! 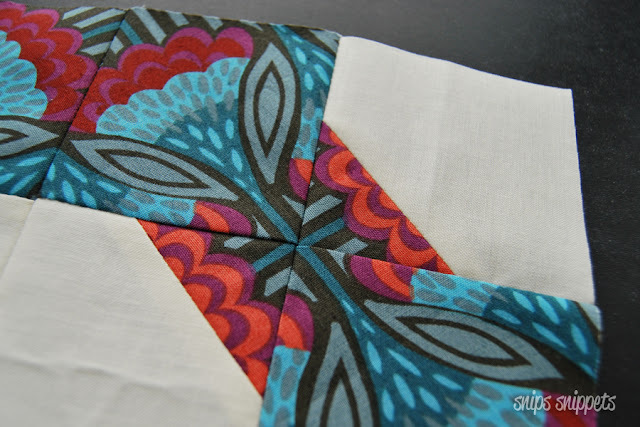 So kaleidoscope piecing, for those that have never heard of the term, it essentially is just a way to fussy cut your fabric and then place multiples of the same cuts together to create another image. The same section of the fabric has been cut exactly the same for these HST's and when they all come together in the center you get a whole new image! 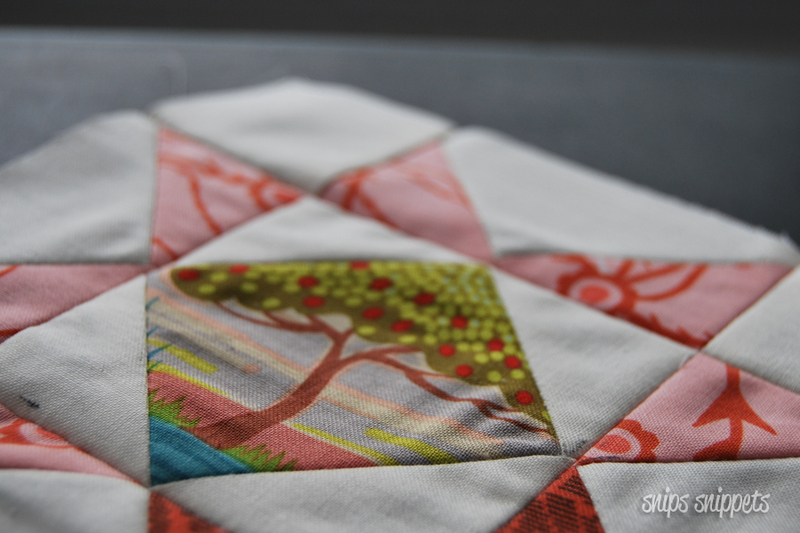 This is my absolute favourite way to piece, prepare to see a lot of it in my quilt! So to do this (depending on the size of cut I need) I will use my 6.5" ruler. I mark the size I want to cut with washi tape, it just makes it easier to see how much area I have to work with. Then line up the area I want to cut. 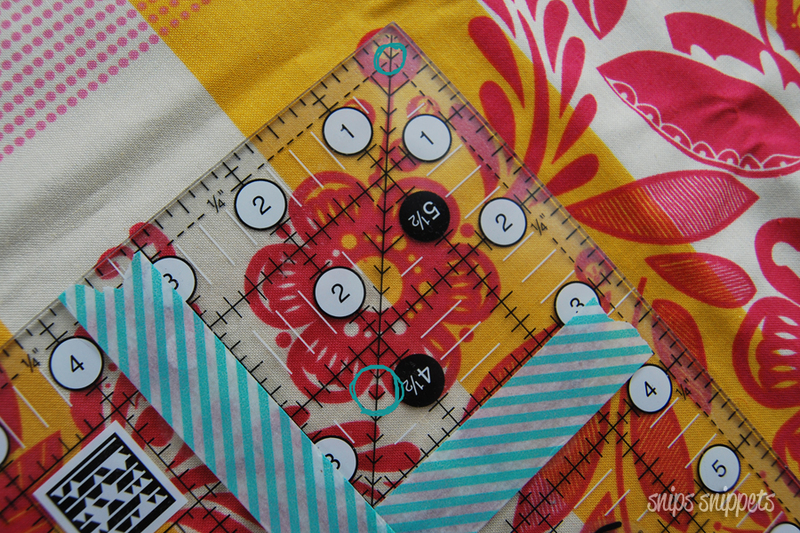 When cutting multiples of something I will find one or two areas on the fabric image that lines up with a mark on my ruler. That way when I go to cut the next piece I can line the marks up and just cut! You can see in the photo above, I've circled for you where I align my ruler marks to my fabric. This helps to get the same cut. If you need something a lot more precise you can always cut out a piece of template plastic and use it as a guide. 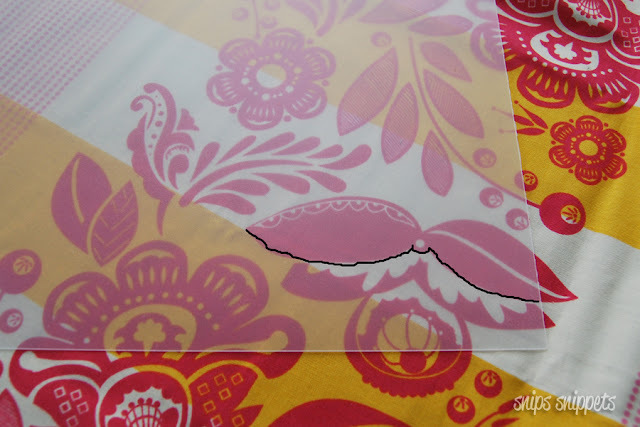 To do this, just cut your template plastic to the size of piece you want and lay it over your fabric as you would your ruler. When you have it over the piece you want to cut choose an element in the print to trace onto your template plastic. You can see in the photo above where I marked (really poorly in photoshop! ), then lay your ruler over the template plastic and cut! Then just keep lining up the markings to the fabric and cut away! I use a pencil to mark on the plastic because it easily wipes off and I can reuse the template for something else. And be sure to note your seam allowance on the template too! Nothing worse than cutting out multiples of a specific image and realizing you're going to be missing bits in the seams! For the first Bow Tie Block I wanted the floral to really stand out so I kept the remainder fairly simple. But the second one I really played with the fussy cutting! What do you think?! I try not to be overly fussy about my fussy cuts. Not everything is going to line up perfectly, but when viewed from afar, it still reads as all kinds of awesome! Here's a close up of the intersection. See, it doesn't need to all line up spot on for the effect to work. My kind of sewing, haha! So that's it from me today, I'll leave you with some technical details about how to win prizes and such, and maybe a parting shot of next weeks block! And don't forget, Angie is the girl with the goods this week! Head on over to her blog for today's tutorial and to see all her Alison Glass eye candy, by clicking here! If you're using the Marti Michell Perfect Patchwork Templates you can find the conversion chart by clicking here. Post a photo of at least ONE of this week's blocks to your Instagram account between 15 March and Midnight 21 March 2017 in your timezone. And that my friends, is week one of the Long Time Gone Sew-along! 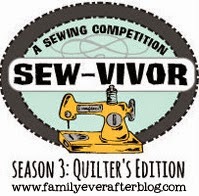 High fives to everyone that is going to be sewing along with us, I can't wait to see what you all make! OMG I LOVE THESE! I love that you're fussy cutting them and I love your second block. 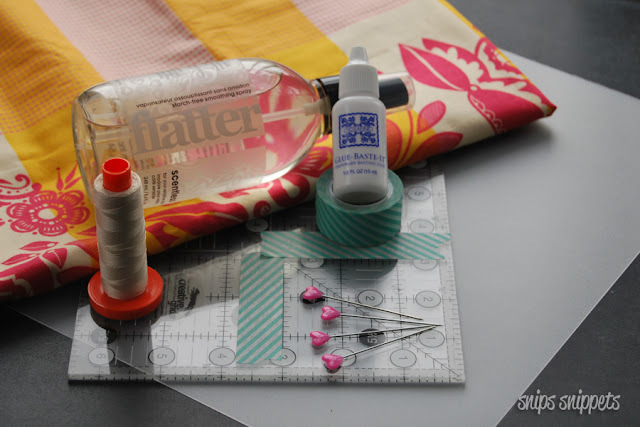 I can tell I'm going to be coveting your quilt all through this adventure! Thank you so much! Glad you enjoyed the post! Your blocks are so beautiful. Thank you, for the fussy cutting lesson! I now need to go back and revisit some of my cuts for my blocks. Glad you liked the lesson! Can't wait to see what you come up with! Love, love love your blocks! The fussy cutting makes me rethink my initial fabric choices. I am so glad that I have not started cutting yet. This is going to be fun! Thanks!! I'm a sucker for a good fussy cut! These are great. I expect to suffer a lot from jealousy between now and July. So happy to be starting this today! I'm in Southern Ontario, what part of Canada are you from? Also, will there be a "button" to put on our blogs to direct people to you? If not, I'll just use a link to your blog. Thanks for the great advice on fussy-cutting, I'll give it a try! I'm with you on the fussy cutting ... almost perfect is perfect enough for me!! Lovely blocks ... the bow tie completely disappears in the second block - very clever! Love flatter as well...and thank goodness it is Canadian. They were supposed to come out with a larger size...but I haven't seen it yet! Can't wait to sew this quilt with you! LONG TIME GONE SAL - keeping yourself organized!